Pride Day at the NYS Fair! 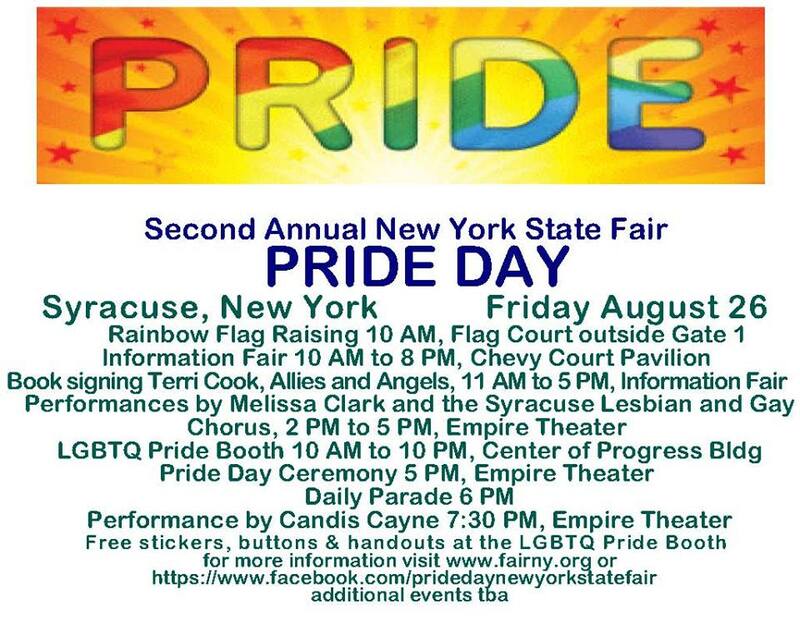 I am honored, and so excited, to participate in Pride Day at the NYS Fair! Grand Marshall of the Daily parade at 6 pm!